Frescos and beautiful paintings adorn the Palace walls of the Mattancherry Palace (also known as the Dutch Palace). With architecture resembling Kerela-style housing, this site houses the deity of Bhagavati in its central courtyard, who is a Goddess revered and worshipped by the people of Kochi. Landscaped gardens and manicured lawns are hallmarks of this site, and one must simply not miss out on them. A fusion of Indian and Portuguese culture and architecture, the Museum houses prized artefacts and is located in the Fort Kochi Area. Free entry is permitted only on the first Thursday of every month for every visitor, both national and international. The museum is divided into five wings and even includes a cathedral amongst its exhibits. Veegeland, also known as the Wonder La Amusement Park, is a fun amusement park located on a hill top in Kochi. Bumping cars, musical fountains, and thunder fall are some of its many fun land and water rides. Car parking space is available and it is recommended to self drive cars to the amusement park since it can take a while to try out its various rides and signature theme-park attractions. A site of cultural heritage, it is one of the oldest churches in India among the 8 Basilicas. It is the cathedral church of the Diocese Of Cochin and is known for its gothic architecture and magnificent paintings in its interiors. No entry fee is charged for visitors. A church that reflects the charisma and patronage of old-age traditions, one can head to this ancient church by self drive cars in Kochi, directly from hotels or from the airport. Known for its grandeur, its confession centre and stunning architecture are must-see amongst travellers. There is also a baptism platform with a chancel rooftop inside the church. Whether it’s a day of swimming in the seashores or playing beach volleyball, Cheria Beach is a beach spot for fun and frolic amongst travellers. It is a place of serenity and tranquillity, making it one of the most frequented spots in Kochi outside the bubble of noises in the city. 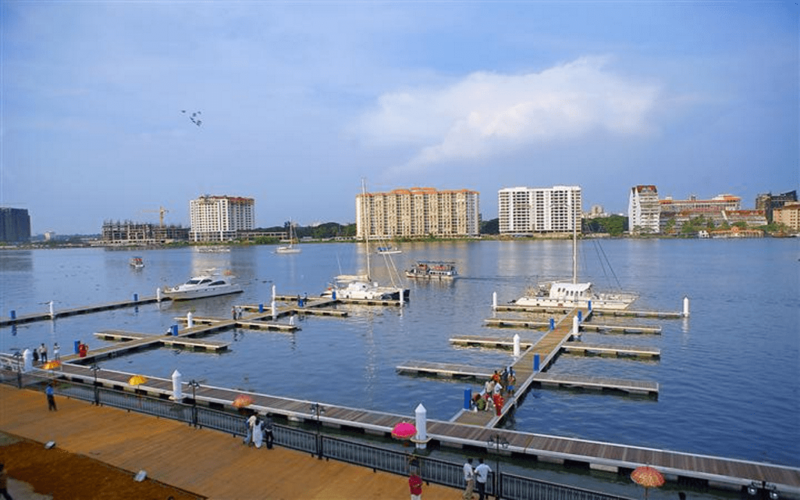 A self drive car enables you to make the most of a trip to enchanting Kochi. Get behind the wheel and enjoy the many sights it offers to the curious traveller.